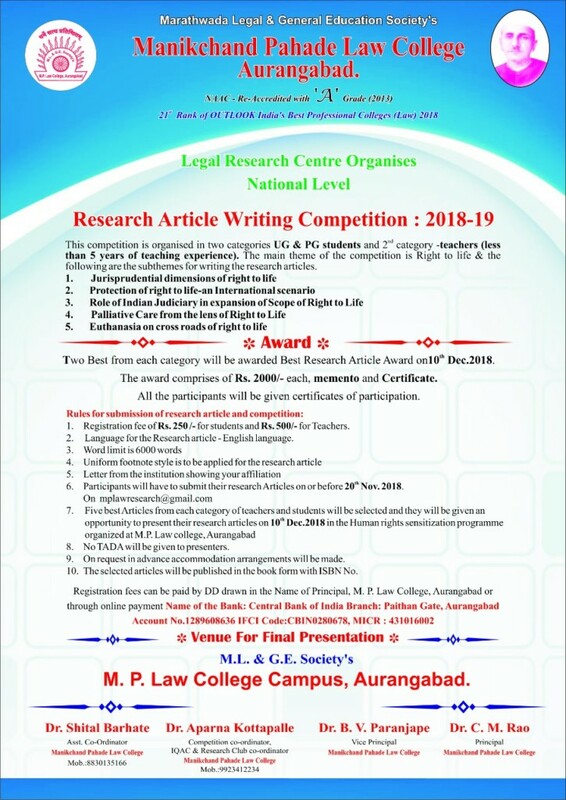 With an aim to inculcate and promote literary skills among students, academicians and research scholars Manikchand Phade Law college, Aurangabad feels privileged to announce National Research Article Writing Competition on theme enumerated bellow. • Two best research articles from each category will be awarded a trophy, Certificate and cash prize of Rs 2000/- on 10th December, 2018. • The selected articles will be published in a book form with ISBN no.